Kate thrives wherever communication, culture, and/or conflict intersect, and that’s pretty much everywhere and most of the time. She has worked alongside combat units in Afghanistan, helped Fortune 50 companies strategize solutions to improve corporate culture, and founded innovative centers for people to learn conflict resolution skills. Kate's approach to organizational improvement is unique. She combines conflict management and organizational change best practices with a deep knowledge of organizational narratives. Using anthropological methods, she gains an understanding of the stories that drive an organization's performance...or undermine it. Partnering with leaders, Kate uses what she has learned from her ethnographic interviews to integrate systems that leverage both intrinsic and extrinsic motivation to collaborate and resolve conflict early and well. The results - improved employee engagement, reduced lawsuits and grievances, less turnover, all contributing to a better bottom line - have been referred to as "The Last Frontier of Organizational Cost Savings". Audiences enjoy Kate's informal, friendly style and interactive approach. She adapts her topics to her audience, often integrating fun small group activities, fishbowl examples, and role-play simulations. Audience members report they leave the talk with ideas and skills they can immediately use in their workplace and elsewhere. Credentials: Kate is a certified mediator and author of Storied Conflict Talk: Narrative Construction in Mediation. Her PhD, MBA, and MA in Middle East Studies are from The University of Texas at Austin, where she also completed the Graduate Portfolio in Dispute Resolution. Her BA is in Cultural Anthropology from the University of Florida. She has researched the impact of cultural talk styles on conflict and high-level negotiations, with a focus on Israeli-Arab interactions. She has taught in leading national and international universities and currently is Subject Matter Expert for the U.S. Army's University for Foreign Military and Culture Studies at Fort Leavenworth, the premier institution for education in strategic decision support. As a practitioner, Kate has performed over 100 workplace mediations and has trained several thousand in mediation skills, negotiation skills, and collaboration skills. She coaches leaders in organizations of all sizes and industries. Kate has worked with many organizations, including Halliburton, Shell Oil, Pfizer, USAA, U.S. Fish & Wildlife, U.S. Army, City of Austin, City of El Paso, Society for Human Resource Management (including pre-conference workshops), Banco Nacional de Mexico, Freescale, Motorola, Coca-Cola Enterprises, and many medical and nursing associations, hospitals, healthcare systems, and private clients. She served as the external patient/family, staff, and provider ombudsman for a large hospital system and co-founded the Conflict Resolution Center and Willie Nelson Center for Peace at the University of Texas. 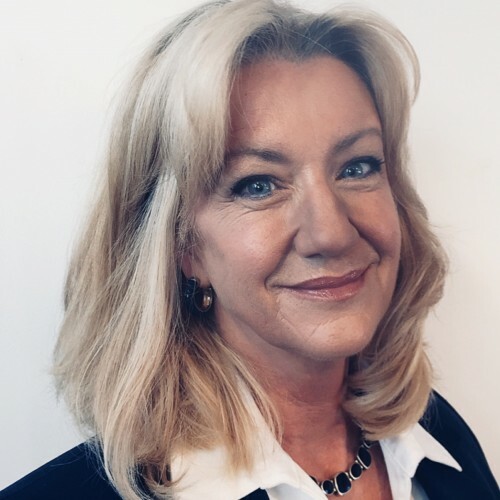 She serves on several nonprofit boards and is a core team member of Red Team Thinking LLC, the world's leading provider of decision support red teaming for business. She serves clients through her firm, Iron Scaffold LLC. Find out more about Kate Stewart, PhD at http://www.ironscaffold.com.